while music writes chapters in your life ... sit back, grab a bottle of gin and listen! A 13 de maio, em Portugal,enquanto uns ansiavam pelo Festival da Eurovisão,sentiam um nervosismo futebolítico e esperavam pela mensagem do Papa em Fátima,em Madrid, tínhamos mais de 16.000 peregrinos a viajar pelo tempo. Às 18 horas abriram-se as portas da arena para os deejays Jumper Brothers darem o mote para as mais de 6 horas de festa com Show Me Love (Robin S), Free (Ultra Naté), Beachball (Nalin & Kane) e culminarem na contagem decrescente para o início de Love The 90s com o espanhol OBK. 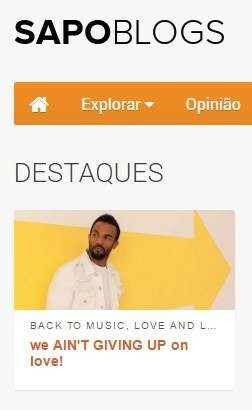 Não podia haver um túnel do tempo tão perfeito como este, em que tivemos a oportunidade de entrar para o Guiness Book Of Records com Saturday Night de Whigfield, numa espaço em que todos dançaram a coreografia típica do Verão de 94. Jenny Berggren, de Ace Of Base, mostrou-nos, com Beautiful Life, que mais de 20 anos depois a vida continua a ser bela e alegre e que todos, finalmente, entenderam a história de All That She Wants e viram The Sign, o que explicou os mais de 23 milhões de discos vendidos do multi-platinado álbum Happy Nation em 93/94 (também ele no Guinness Book Of Records). Por entre europop e eurodance, quando se ouviu Boom Diggy Diggy Diggy Boom Diggy Bang sentimos que estávamos a ouvir a compilação DanceMania, em que Ice Mc brilhou com o seu típico som italo-disco. A australiana Tina Cousins trouxe memórias com Pray e Mysterious Times, a sua grande colaboração com o alemão Sash!, e a brasileira Corona protagonizou um dos momentos mais engraçados ao admitir falar "portuñol", ao misturar a sua música com Boom Boom Boom dos Outhere Brothers e a ter uma das maiores interacções com o público ao som de The Rhythm Of The Night. Por entre actuações dos grupos convidados, havia tempo para a dupla de deejays, com a ajuda de fogo, lasers, ecrãns coloridos e chuva de confettis, tocarem temas que encheram as pistas de dança durante a década, com músicas de Haddaway (What Is Love), Gala (Let a Boy Cry), Faithless (Insomnia) e Kadoc (The Night Train), irem buscar Nirvana e Bon Jovi à playlist e fazerem uma homenagem sentida a Robert Miles, fazendo com que a festa fosse sempre non-stop! Por fim, as duplas de eurodance/euro rap Snap! muitos pés fizeram saltar com a poderosa voz de Penny Ford em The Power e no clássico Rhythm Is a Dancer, para além da rapper Ya Kid K, a voz original de Technotronic, que colocou a multidão a cantar em uníssono Pump Up The Jam e os holandeses 2 Unlimited que mostraram que a geração dos anos 90 não tem limite para a alegria que sentia enquanto viajava ao som de No Limit e Twilight Zone. Em suma, se perguntarem se vale a pena esta viagem, concluímos com um grande sorriso que SIM! Esta Máquina do Tempo é capaz de colocar toda uma geração nostálgica sobre uma década ainda próxima, em que com tanta evolução, ainda sabe a ligação entre um lápis e uma cassette, recorda o que era fazer uma mixtape apaixonada e, acima de tudo, sabe que abriu caminho para uma cultura de música pop e de dança que nos dias de hoje se faz sentir por todo o Mundo. Que fazemos agora? Assistimos aos melhores momentos e contamos os dias que faltam para as próximas viagens! Mais videos no Youtube, Sapo Videos e fotos no Facebook e Instagram do blog! On May 13, in Portugal, while some longed for the Eurovision Song Contest, were feeling nervous about football matches and were waiting for the Pope's message in Fatima,in Madrid, more than 16,000 pilgrims were traveling through time. 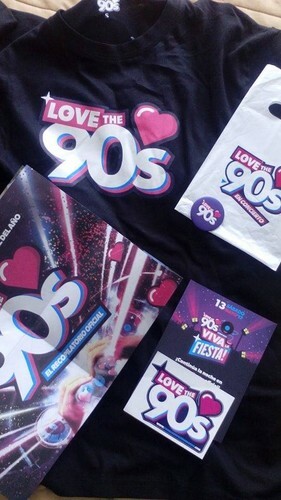 At 6pm the doors of the arena opened for the deejays Jumper Brothers to set the tone for more than 6 hours of partying with Show Me Love (Robin S), Free (Ultra Naté), Beachball (Nalin & Kane) culminating with the countdown to the beginning of Love The 90s with the Spanish OBK. There could not be a time tunnel as perfect as this, where we had the opportunity to enter the Guinness Book of Records with Whigfield's Saturday Night, in a place where everyone danced the typical choreography of the summer of '94. Jenny Berggren, Ace Of Base, showed us, with Beautiful Life, that over 20 years later life continues to be beautiful and joyful and that everyone finally understood the story of All That She Wants and saw The Sign, which explained the more 23 million albums sold from the multi-platinum album Happy Nation in 93/94 (also in the Guinness Book Of Records). Between europop and eurodance, when we heard Diggy Boog Diggy Diggy Boom Diggy Bang we felt we were listening to the compilation DanceMania, in which Ice Mc shone with his typical Italo-disco sound. Australian Tina Cousins ​​brought back memories with Pray and Mysterious Times, her great collaboration with German Sash !, and the Brazilian Corona starred in one of the funniest moments when she admitted to be speaking "portuñol" (mixture of portuguese and spanish), mixing her music with Boom Boom Boom of Outhere Brothers and to have one of the biggest interactions with the audience with the sound of The Rhythm Of The Night. Between the performances of the guest groups, there was time for the duo of deejays, with the help of fire, lasers, colorful screens and rain of confetti, to play songs that filled the dance floors during the decade with Haddaway (What Is Love ), Gala (Let a Boy Cry), Faithless (Insomnia) and Kadoc (The Night Train), pick up Nirvana and Bon Jovi from the playlist and pay homage to Robert Miles, making it a non-stop party! Finally, the eurodance / euro rap duos Snap! made many feet jump with Penny Ford's powerful voice in The Power and with the classic Rhythm Is a Dancer, in addition to rapper Ya Kid K, Technotronic's original voice that set the crowd singing all in one voice Pump Up The Jam and the Dutch 2 Unlimited who showed that the 90's generation has no limit to the joy they were feeling while traveling listening to No Limit and Twilight Zone. In short, if you ask if it is worth this trip, we conclude with a big smile that YES! This Time Machine is able to put an entire generation nostalgic about a recent decade, in which with so much evolution, still knows the connection between a pencil and a cassette, remembers what it was to make a mixtape with love and, above all, knows has paved the way for a culture of pop and dance music that is now felt all over the world. What do we do now? We watch the best moments and count the days that are missing for the next trips! More videos on Youtube, Sapo Videos and photos on Facebook and Instagram of the blog! let's recapture the essence of time. A 9 de Maio de 2017 desaparece em Ibiza Robert Miles, o produtor italo-suiço que revolucionou a música de dança a meio da década de 90 com o seu som dream house, mais tarde, denominado dream trance em que as batidas fortes são acompanhadas por piano. Foi com Children (5 milhões de singles vendidos) que alcançou este feito quando rebentou as charts pelo mundo fora, com um impressionante número 1 em mais de doze países, mais de 13 semanas em número 1 na Eurochart Top 100 e influenciou as produções electrónicas nos anos seguintes. Para além disso, a história que está por detrás desta sua aventura electrónica, a que levou a criar Children e o álbum Dreamland, que contém Fable e One & One (feat. Maria Nayler), é deveras interessante e torna-o não só num músico especial mas também num deejay consciente do que se passa(va) na club/rave culture (na época). Devido ao crescente número de mortes aos sábados em que proliferavam cada vez mais discotecas com excessos de álcool (e não só), a polícia italiana chegou mesmo a indicar estes acontecimentos como um flagelo. É certo que o público saía eufórico, ainda com energia ou com sono e, irresponsavelmente, pegava no volante e conduzia até casa após horas de música repetitiva e eufórica e Robert Miles pretendeu acalmar os ânimos nos finais dos seus sets, quase como trazer uma sensação de relaxamento e calma após os excessos. É certo que a consciência da importância da vida é de cada um, mas é quase como seguir o lema de que para qualquer problema se todos contribuirmos podemos criar soluções, aliás a medida foi até aprovada pelas autoridades italianas. Após cinco álbums dizemos, então, um até já e um OBRIGADO, por todas as melodias de piano, pela mistura com o jazz, o progressive house e chillout que nos proporcionou tantos momentos únicos nas pistas de dança, nas viagens longas de carro e nas festas ao ar livre. A música faz-nos sonhar e como Miles escreveu um dia, o mundo mexe-se rapidamente e, por isso, talvez devemos todos alcançar os nossos sonhos, lutar por eles e celebrar a vida. On May 9, 2017 Robert Miles passed away in Ibiza, the Italian-Swiss producer who revolutionized dance music in the mid-90s with his dream house sound, later called dream trance in which the strong beats are accompanied by piano. It was with Children (5 million singles sold) that he achieved this feat when it broke the charts around the world, with an impressive number 1 in more than twelve countries and more than 13 weeks in number 1 in the Eurochart Top 100 and influenced the electronic productions in the years that followed. In addition, the story behind his electronic adventure, which led to the creation of Children and the album Dreamland, which contains Fable and One & One (feat. Maria Nayler), is very interesting and makes him not only a special musician but also a conscious deejay about what was(is) happening in the club/rave culture (at that time). Due to the growing number of deaths on Saturday nights when more and more discos were being opened with alcoholic excesses (and not only that), the Italian police even indicated these events as a scourge. Certainly the audience left them euphoric, still energetic or sleepy, and irresponsibly took the wheel and drove home after hours of repetitive and euphoric music and Robert Miles intended to calm the moods in the end of his sets, almost like bringing a sensation of relaxation and calm after all the excesses. Certainly the audience left them euphoric, still energetic or sleepy, and irresponsibly took the wheel and drove home after hours of repetitive and euphoric music and Robert Miles intended to calm the moods in the end of his sets, almost like bringing a sensation of relaxation and calm after all the excesses. Certainly the awareness of the importance of life belongs to everyone, but it is almost like following the slogan that for any problem if we all contribute we can create solutions, in fact the measure was even approved by the Italian authorities. After five albums we then say a see you soon and a THANK YOU for all the piano melodies, the mix with jazz, progressive house and chillout that has provided us so many unique moments on dance floors, long car trips and outdoor parties. Music makes us dream, and as Miles wrote one day, the world moves quickly and therefore, perhaps, we should all achieve our dreams, fight for them and celebrate life. Devido à nova imagem do blog, todos os posts anteriores a 2017 podem surgir com formatação diferente. 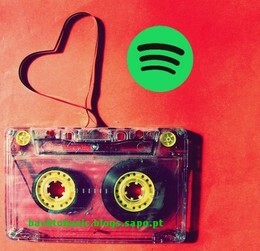 Um novo ano, uma nova vida, nova música, nova imagem! Due to the new image, all posts prior to 2017 may come up with a different format. A new year, a new life, new music and new image! 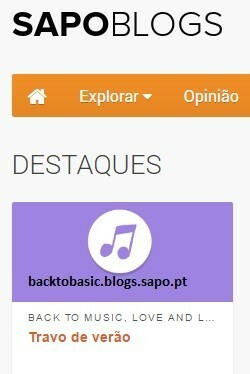 (Português) Todas as imagens/vídeos/audio pretendem promover o(s) artista(s).Os álbums/singles apresentados nos posts "(Download)" têm algumas restrições,mas o seu download é legal e autorizado pelos músics/dj/produtores. © Todas as traduções são realizadas pelo autor. (English) All images/videos/audio are aimed to promote the artist(s). The albums/singles to download under "(Download)" might have some restritions, but the download is legal and authorized by the musicians/dj/producers. © All translations are done by the author.